← Have We Already Gotten Over Charlottesville? Christians have sometimes claimed that the eighth commandment, “You shall not steal,” forbids government from ever mandating the redistribution of wealth for the sake of the poor. According to this interpretation, the status quo is the result of God’s providence and must be respected. It is up to individuals, not society collectively, to assist the poor through charity. Does the Heidelberg Catechism’s exposition of the eighth commandment in Lord’s Day 42 support this interpretation? The catechism describes three levels of theft that are forbidden by God. First are “outright theft and robbery, punishable by law.” Second are “all scheming and swindling in order to get our neighbor’s goods for ourselves, whether by force or means that appear legitimate, such as inaccurate measurements of weight, size, or volume; fraudulent merchandising; counterfeit money; excessive interest; or any other means forbidden by God.” This category includes actions that are illegal, but it also includes practices that may be legal. Taken seriously, as Abraham Kuyper points out in his commentary on Lord’s Day 42, this thorough description of the various forms of theft is anything but a sanction of the distribution of wealth according to the status quo. On the contrary, it speaks sharply to the human conscience, convicting human beings of the myriad of ways in which we steal from our fellow image-bearers. In fact, the Christian conviction that excess wealth belongs to the poor far predates the Heidelberg Catechism. Most theologians from the early church to the Reformation maintained that God has given the earth to human beings in common and that property ownership is but a secondary right, one qualified by the obligations of stewardship and justice and subject to the regulation of government. 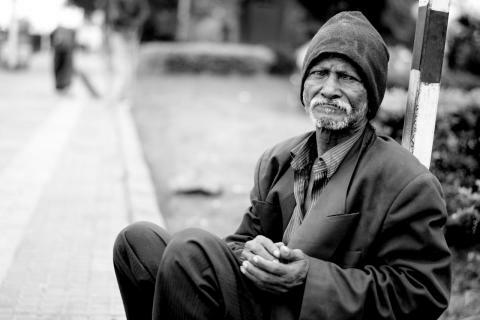 It is inherently unjust when the poor do not have what they need. Thus the church father Ambrose famously insisted that the wealth of the church belongs to the poor. Thomas Aquinas maintained that for a person in dire need to take what he or she needs from a person who has excess is not theft at all. John Calvin insisted that those who can share with the poor must share with the poor, not as a matter of charity but as a matter of justice and right. He argued that it is the spiritual responsibility of the church to care for the poor through the diaconate and the political responsibility of the community to care for the poor through civil government. In Geneva the diaconate worked closely with the city government to provide sustenance, health care, education, and even job training for the poor. The catechism clearly supports this classic Christian perspective. Theft consists not merely in outright theft or even in cheating or swindling; it includes “all greed and pointless squandering of his gifts.” It requires the constant and continual redistribution of wealth. Does the catechism tell us that government has a role in enforcing this requirement of justice? Given the consistent practice of Christian societies through the centuries (including the sixteenth century), it would have been shocking if the authors of the Heidelberg Catechism assumed anything else. The insistence of some Christians that government has no business caring for the poor is a modern phenomenon, alien to the Christian tradition. Our confessions wisely leave the practical questions of political economy to the collective wisdom of human beings in their various times and places. But they should not leave us in doubt as to the basic principle: It is a responsibility of all people, Christians and non-Christians, as individuals and collectively, in the church and through the state, to secure economic justice for the poor. This article was originally posted at Do Justice, the blog of the Christian Reformed Centre for Public Dialogue and the Office of Social Justice. Matthew J. Tuininga is the Assistant Professor of Moral Theology at Calvin Theological Seminary in Grand Rapids, Michigan. Posted on October 18, 2017, in Abraham Kuyper, Calvin, Catechism, Poverty, Property, Rights, Thomas Aquinas and tagged Ambrose, diaconate, Eighth Commandment, Pierre-Joseph Proudhon. Bookmark the permalink. Comments Off on Justice for the Poor in the Heidelberg Catechism: The Eighth Commandment.